Deal alert! The Wedding Chicks Shop is having a 24-hour sale – everything is 40% off with code 24HOURS. What a steal! The clock is ticking, so hurry over before noon tomorrow (5/13/15) to place your orders! As many of you know, Wedding Chicks is one of my favorite resources for free wedding invitation templates and other printables, but they also sell lots of fun wedding party gifts, favors, welcome bags, and more. 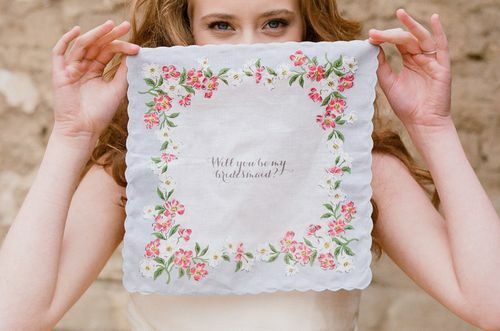 Last year, I purchased several of their custom handkerchiefs for my mother and mothers-in-law to carry at my own wedding! Let me know if you score anything good at the sale, belles!